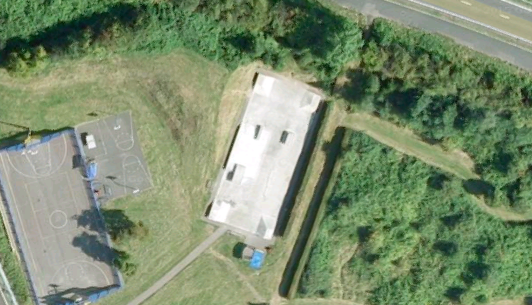 Summertown skatepark is a small all concrete skatepark on the outskirts of Oxford, and is primarily a plaza style street course. 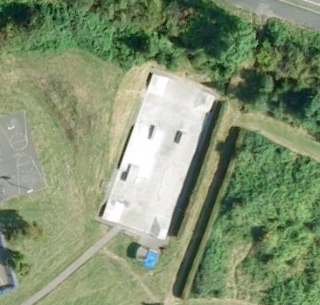 In each of the four corners here there is a hipped bank that faces into the centre of the skatepark. In between these is a long driveway with a hubba and rail leading up it and a manny pad leading off it and running along side this is a long rail and a two tiered block. 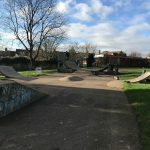 The Summertown skatepark is a nice little spot, the layout is not the most original but the concrete surface is smooth and grippy meaning that it is a great place to come for a warm up or to practise the basics. 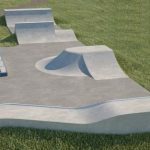 If you are after a more challenging skate though, then check out some of the other skateparks nearby. 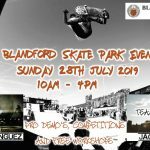 Oxford train station: As it is a long distance from the station it would be recommended to get a bus or a taxi to get to Summertown skatepark. Wren Road Green bus stop: Exit the bus onto Wren Road and the skatepark can be found behind the community centre. 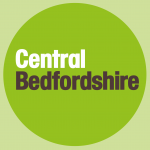 There are no on site toilets but there are free to use facilities nearby in the community centre.